Counting to 10 begins right here with the first number of the counting sequence. 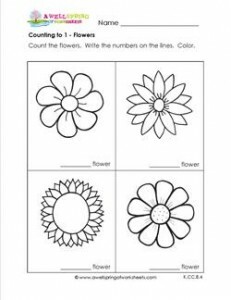 Count one flower in each set, naming “one” each time. For extra practice count how many altogether.